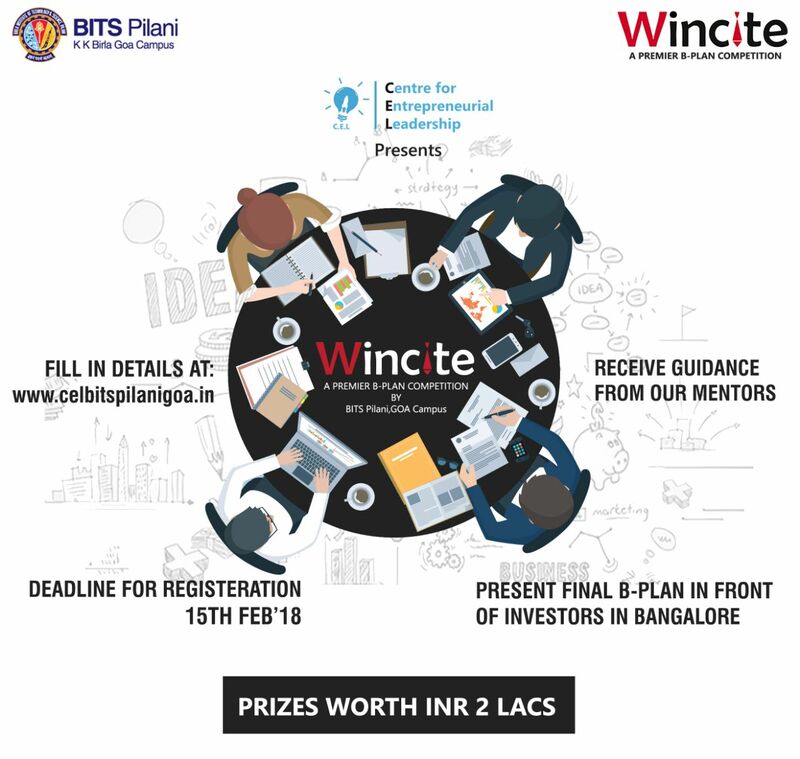 CEL, BITS Pilani Goa Campus aimed at nurturing the Entrepreneurship and Business spirit among people all around the globe, brings to you WINCITE’18, A National level Premier B-plan Competition accelerating your Idea to a Commercial success. Right from recognizing the potential of your Idea, to developing a Business Model and pitching it in-front of Investors this competition provides a Platform that has got it all. Applications are open to all kinds of startups, in all stages, from Ideation stage to prototype to Growth Stage. Regardless of existing/running or just launched startup, we welcomes you all to participate and be a part of WINCITE 2018. Register yourself in the category you belong to and compete with best of the best.